Read the original article on 500 Words Magazine! With the ongoing and crippling political and economic crisis in Sudan, many Sudanese men and women are left struggling to survive leading to several mental health concerns. And with the social stigma surrounding mental health, many hesitate to seek help. But now, there might be a solution. 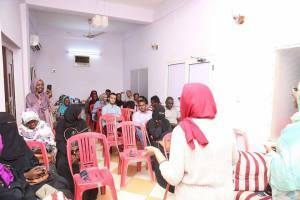 Certified therapists and sisters, Dinan (30) and Rawan Ibrahim (32), launched an online therapy service, E-therapy Sudan, to help young people in Sudan, struggling with mental health illnesses, to lead a better life. A relatively new development in mental health, e-therapy is a form of online therapy, which is also known as e-counseling, teletherapy or cyber-counseling, where a therapist or counselor provides psychological advice and support over the internet. Launched in December 2016, E-therapy has gained strong social media presence with over 30,000 followers on Instagram (@askdxr) along with almost 3,000 likes on Facebook. 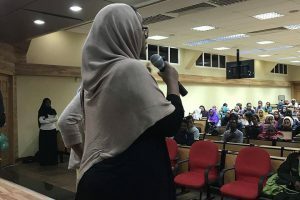 The online therapy provides advise on how to deal with personal and social issues and even hosts live sessions by well-known Sudanese personalities such as Sinkane, AKA Keyz, Islam Elbeiti, Mayada Adil, 249 Writers, Sara El Hassan and more. The young ladies also host Meet and Greets, as well as a Mental Health Clinic for face-to-face therapy, group sessions and more. They have also recently released a study on the severity of depression in Sudan which found that at least 40% of youngsters are severely depressed. Check out the study at askdxr.co.vu. 500 Words Magazine chats with Dinan and Rawan about establishing E-therapy Sudan and mental health concerns in Sudan. Tell us a little about yourselves and your backgrounds. We grew up mostly overseas in the UAE and New Zealand. Our childhood was the best but, due to a death in the family, we moved back to Sudan. We had a difficult time adapting to our new environment and experienced many mental health issues when we were younger. That is what motivated us to study psychology at Ahfad University for Women and we completed our master’s degree in counselling psychology at the American University in Cairo to hopefully return to Sudan and help the Sudanese youth better their mental health. You are certified therapists. What inspired you to seek careers in therapy? First of all, we never saw ourselves as counsellors or psychotherapists even after we finished our master’s degree. But, we knew we had to do something. So, we decided to start helping others by posting online about various mental health issues which affect the Sudanese people, especially the Sudanese youth. As we progressed, we decided to establish E-therapy in Sudan, which is all-inclusive and available for anyone with mental health issues and facing obstacles in their lives. The inspiration came from our own everyday struggles as young girls living in Sudan. We experienced grief, depression and Rawan even had selective mutism growing up. So we knew that a lot of Sudanese people could be going through the same thing. What do you offer through your social media accounts? Our vision for our social media accounts is that we want people to learn something new. We always post educational content about psychology and mental health. To hopefully break the mental health stigma in Sudan and demystify psychotherapy, so it becomes less intimidating for anyone who wants to reach out to us for help. 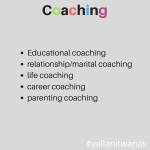 Why is being present online and on social media important to you and what you offer? We felt that there’s a huge gap in Sudan, between mental health service providers and everyday people. E-therapy allows everyone to seek help from the comfort of their home with the usage of their mobile device or computer. Therefore, it’s easy and effective way to better their mental health. Being present online is a pure joy for us and it’s our way to help others in need of our expertise. Nowadays everyone is online in some shape or form, in order to end the mental health stigma and change the negative way mental health is portrayed in Sudan, we need to be where the people are. 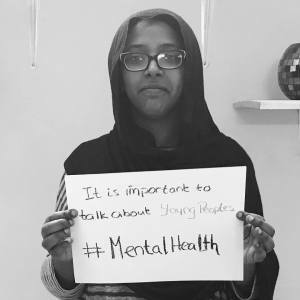 From your experience, what are some of the greatest concerns in regards to mental health in Sudan? 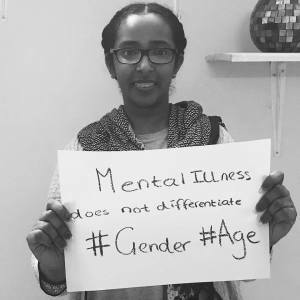 There’s not enough acceptance of mental illness in Sudan especially by the older generation of Sudanese parents. 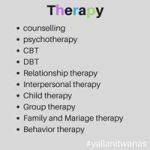 Many Sudanese people think mental illness can only be treated by medications and psychotherapy is for mild mental health issues, but there are many other treatment options available now. The idea of counselling sessions scares the majority of Sudanese people. They are afraid that if anyone finds out about it then rumours would spread about their visit to a psychotherapist and that could ruin their reputation. Psychotherapy is for everyone, young and old. There isn’t any shame in reaching out to someone who is knowledgeable about treating mental illness and it doesn’t mean that you are crazy. You’ve recently released your statistics on depression in Sudan. Can you tell us more about it and how you’ve conducted the study? We collected our data for this study with the consent of all the participants with undiagnosed depression symptoms. The way we conducted the study is by interviewing them and asking open questions to give a greater insight on their own experiences with depression. The aim of the study is to showcase that many of the Sudanese youth have depression but they don’t even know it. This is mostly due to the mental health stigma and the fear of tainting their reputation. Depression is one of the most concerning and growing illnesses of mental health worldwide. What’s your understanding about depression in Sudan and its causes? Depression in Sudan is the same as it is abroad. This mood disorder doesn’t discriminate in terms of race and social status. Anyone can be struck with this debilitating mental illness. However, the main causes of depression in Sudan is grief, heartbreak, dysfunctional families, domestic abuse, being unmarried and unemployment. How would you suggest those struggling with mental illnesses in Sudan or within Sudanese communities elsewhere should seek help? Or do you think they struggle to seek help? We suggest they try to seek help wherever they are. In Sudan, there are so many qualified psychiatrists and psychologists. Just try to search online. But at times, it’s difficult for them to find a therapist overseas who understands their Sudanese cultural background. They should attempt to find a therapist who’s either an Arab and a Muslim in order to fully help them and understand their mental health dilemmas. What do you hope to achieve with E-therapy Sudan? What are your future plans and goals? We hope to normalise the idea of seeing a mental health specialist and remove the stigma around mental disorders in Sudan. Simply because psychotherapy, whether online or in person, is helpful for everyone. 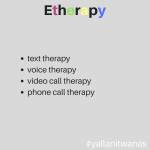 For more information or if you’re seeking therapy, check out E-therapy Sudan on Instagram or Facebook.